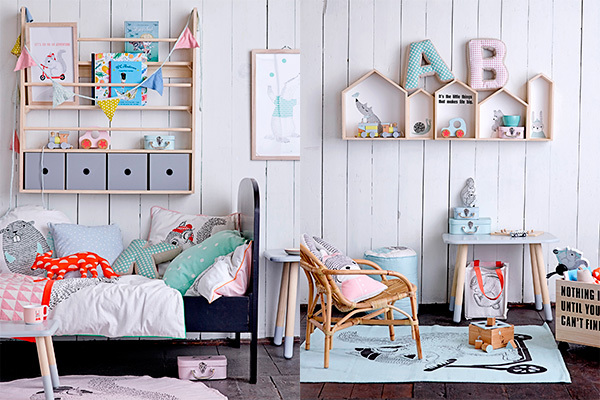 Scandinavians – they’re hip to the decorating core and Denmark’s Bloomingville is making it so very, very easy for us to create our very own Scandi inspired spaces for our children with the launch of their all new children’s range – Bloomingville Mini! 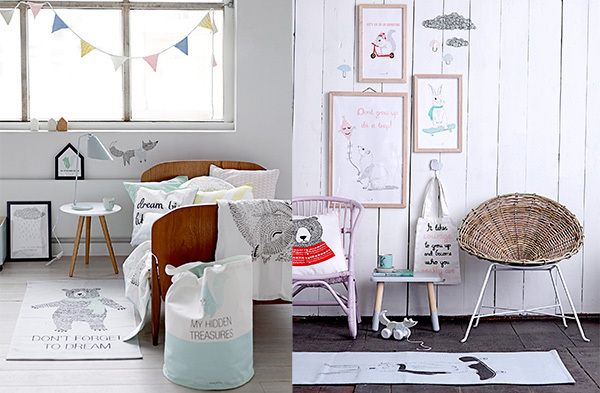 Bloomingville Mini is a new range just for our littlest people, a collection including bedlinen, rugs, ceramics and tablewear, plus everything in between and is jam packed with all the charm and style of its parent collection, Bloomingville. Display boxes in the shapes of houses and hexagons are super sweet and perfect for keeping treasures and trinkets safely on display. 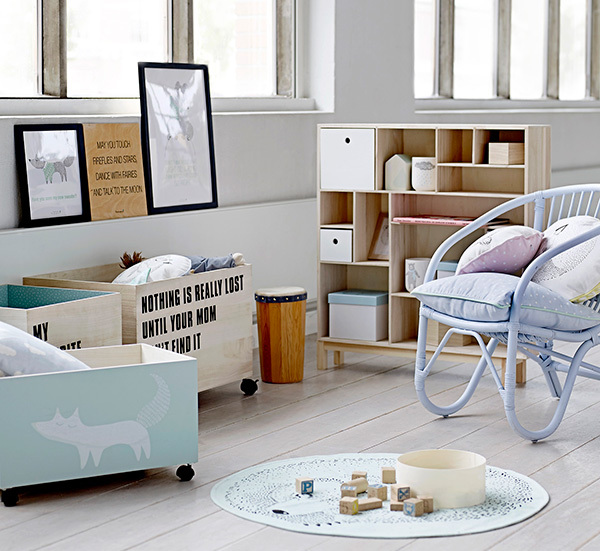 Speaking of trinkets, Bloomingville Mini has an impressive collection of toys and cushions to add some serious fun to your child’s space – and who could resist a stuffed fox or a letter cushion? Toy storage is made easy and accessible, ensuring packing up toys isn’t too much of a chore and we love the clever (and painfully true) printed quote which reads “Nothing is really lost until your mom can’t find it”. 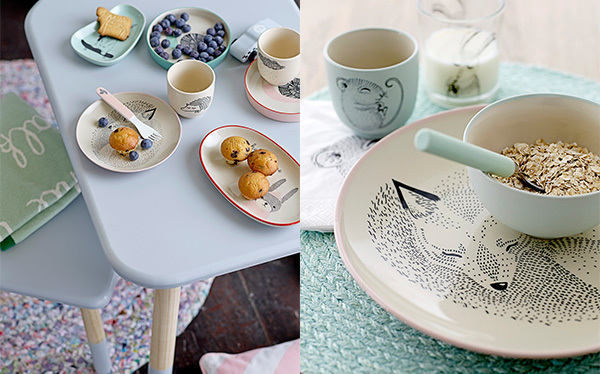 Personally, I love to give a cute ceramic plate set or cup as a gift for big occasions such as a first birthday or christening and these Mollie bowls, plates and cups are completely divine and make for an exceptional gift. Check out the whole collection in the Bloomingville Mini AW15 lookbook at Bloomingville. Lucky for us, some of the Bloomingville Mini collection is available locally at French Bazaar, which ships all over Australia.